*O* boy are these great. 1. A Bialetti pasta pot with a strainer built *right into* the lid — and a twist & lock feature so you never lose a single noodle. This has over 1,000 reviews, so it's Amazon Reviewer–approved AND Oprah-approved. Get it from Amazon for $29.99 (available in seven colors). 2. CoverGirl Lash Blast Mascara, because it's been a fan-favorite for yeeaaarrss for a reason (it was one of Oprah's favorite things in 2008!) — we're talking 10 times the volume with a single swipe. Get it from Amazon for $5.88+ (available in two colors). 3. Ridiculously cozy slipper socks with a thick sherpa fleece lining to keep your tootsies toasty and rubber soles so you don't go skidding on shiny floors. Get them from Amazon for $10.39+. 4. A bottle of Butter London nail polish to deliver gorgeous, chip-resistant color and long-lasting shine *without* DBP or formaldehyde — but *with* calcium and vitamins A, C, and E to protect your nails. Get them from Amazon for $15 each (available in 31 shades). 5. A foldable nine-compartment tote that'll make you finally stop ~wine-ing~ about carrying an assortment of your favorite bottles from the liquor store. Get it from Amazon for $19.99 (available in seven colors). 6. A tin of Garrett's Popcorn (Chicago mix, obv), because the liiiines around the block to get hands on these kernels don't lie. Personally, my fave mix would be butter and caramel — we'll call that the Maitland mix. Choose your size and flavor at Garrett's Popcorn. 7. A teeny tiny Bluetooth speaker in the shape of an adorable animal that'll release a surprising amount of sound from its tiny body. You can also pair them together for even *more* impressive, room-filling sound. Get them from Amazon for $29.99 each (available in 18 animals). 8. An Amazon Echo Show that'll combine everything amazing about Alexa with a screen, so you can watch news clips, any video on Amazon, see the weather report, make to-do lists, monitor any security or baby cameras, and so so so much more. 9. A pair of Spanx active compression pants with moisture-wicking fabric and a comfortable high waist, but *no* center seam (aka no ~riding up~ in the front). Get them from Amazon for $55.60+ (available in sizes XS–3X and two colors). 10. Basically any of the Galaxy pastries available at Williams Sonoma — Oprah especially loves the chocolate lava cake (left) and croissants (right). Everything comes frozen, so you can heat 'em up for bakery-fresh taste whenever you want. 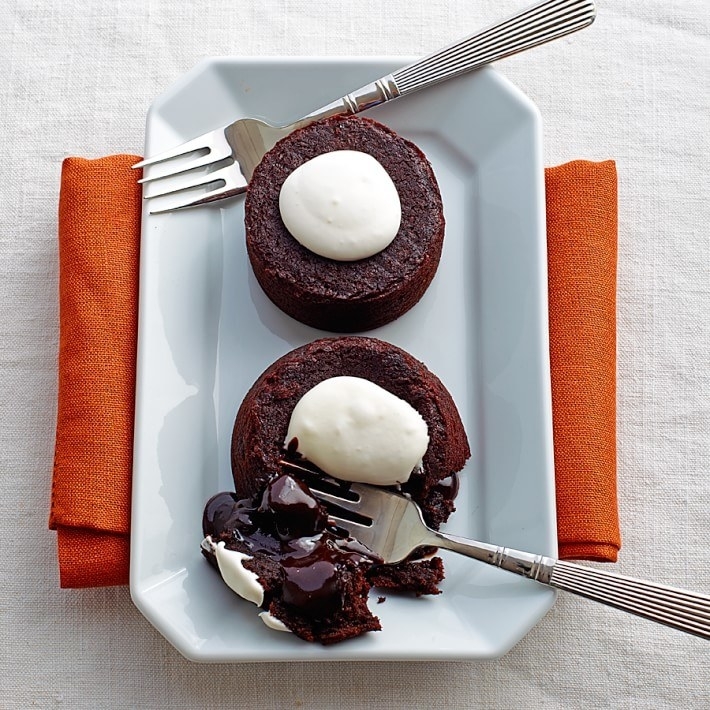 You can even heat up the lava cakes in the microwave! And for the laminated pastries (aka anything with croissant-style dough), you just need to let 'em rise overnight, and then bake at home for FLAKY PERFECTION. Reader, I am so hungry right now. 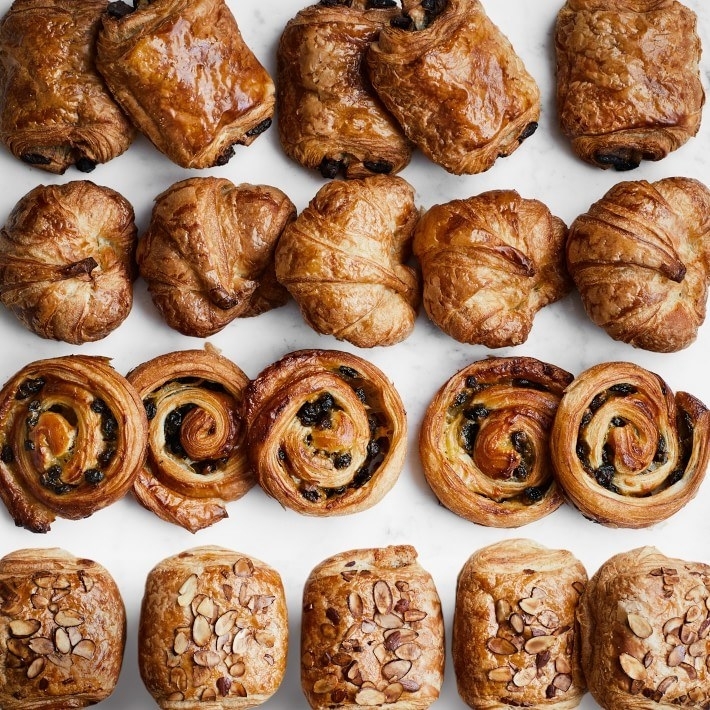 Check out all the available pastries at Williams Sonoma. 11. A pair of Nike Air Presto sneakers for a truly comfortable (and stylish) look so you can strut your stuff without tiring out your feet. Get them from Nike for $120 (available in sizes 5–12 and seven colors; you can also design your own). They're also available on Nordstrom in three colors. Promising review: "Every time I think Nike cannot make a shoe more comfortable, they do! These are so comfy I had to get another pair. Like walking on clouds! You wont be disappointed, plus all colors are dope." —Adnama N.
12. A triple-insulated stemless tumbler to keep cold drinks cold and hot drinks hot for far longer; plus, they have spill-proof lids and non-slip silicone bottoms so you stay wine stain-free (even after you've already had two glasses). Get them from Amazon for $24.95 each (available in nine colors). 13. An anti-stress coloring book and neon colored pencil set filled with 75 unique designs to focus your brain and keep you from feeling overwhelmed. I'd imagine running your own Oprah-level empire gets stressful! Get the coloring book plus the neon colored pencils from Amazon for $21.69 (you can also get just the coloring book for $9.99). Orrr try the Modern Meditation coloring book for focus & creativity from the same creator for $7.66. 14. A neoprene case that'll make tangled earbuds a relic of the past, because you've got to get those tunes pumping ASAP. Get it from Amazon for $10 (available in five colors). 15. Kenneth Jay Lane cubic zirconia earrings in a rhodium-plated brass setting so you can add a touch of vintage glam to every outfit. You should know some of the colors are at a maje discount. Get them from Amazon for $25.07+ (original price is $89). 16. A Breville panini press that'll create deliciously brown, crispy outsides and gooey, non-crushed insides for the ultimate sandwich every time. Or the ultimate wrap, quesadilla, croissandwich, or anything else that floats your boat. It's compact so it won't take up a ton of counter space, and the nonstick aluminum will ensure all the cheese ends up on your sandwich, NOT burnt on the plates. Get it from Amazon for $73.96. 17. Peeper's sunglasses for a retro look people will think you spent a lot of money on. They're available in polarized regular sunglasses AND reader sunglasses so you can enjoy a novel in the sun! Get them from Amazon for $22 (available in strengths 1x–3x and five colors; non-reader sunglasses available here). Promising review: "I purchased four out of the five colors, LOVE LOVE LOVE. These are extremely well made glasses, very stylish. Sun readers that are stylish are very hard to find. I have been looking for a long time, so when I saw these in Oprah's favorite things, I ordered them right away." —Sandra S.
18. A Ninja kitchen system with a smart base and four different attachments including a classic crushing pitcher for frozen drinks, a 24-ounce single-serve blender cup, a food processing bowl, and a spiralizer. All of your blending, spiralizing, pureeing, and chopping needs = taken care of. Get ready to make smoothies, margs, dough, ice cream, snow cones, salsas, dips and sauces, veggie noodles, and anything you've ever dreamed of. 19. A cheeky drink marker set that'll help you stand out from all the other neighborhood wine nights. It comes with a wine bottle stopper (we've all been that little guy dunking his head in the bottle, right?) plus six glass markers that hug the stem close (also me). Get the set from Amazon for $9.95. 20. 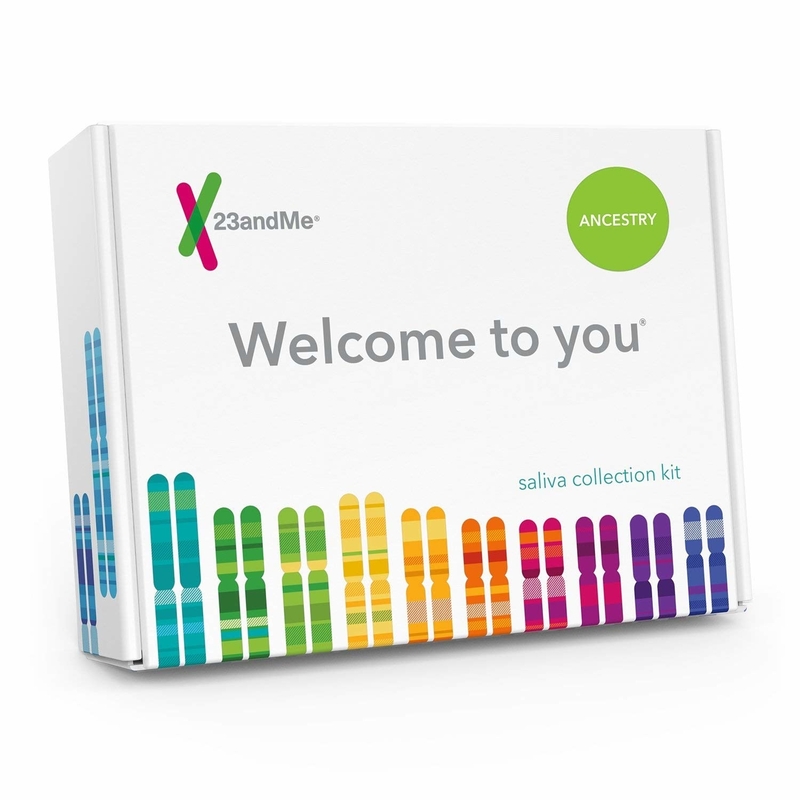 A 23andMe DNA testing service so you can get the ultimate peek into your family history. Just provide a saliva sample using the kit and send it back for results in 6-8 weeks. 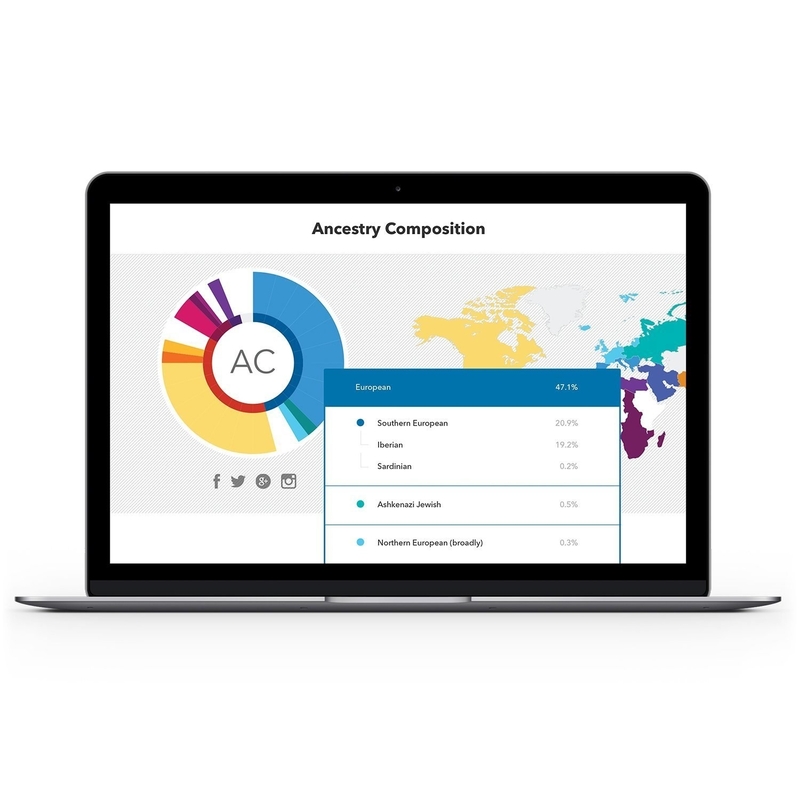 You can find out if your DNA comes from Neanderthals, find relatives around the world, and see how much of your family history is actually true. 21. A Philips Sonicare Diamondclean toothbrush for your best checkup at the dentist ever. It has four modes, three intensities, and three different brush heads so you can customize your cleaning to your dental needs. And it has sensors to show you on your smartphone where you missed so you can improve your brushing habits. Get it from Amazon for $178.90 (available in three colors). 22. A 22k gold–dipped necklace to help you show off your zodiac sign in the prettiest way possible. Shop the collection from Sequin NYC for $42+ (available in all 12 signs; each sign is also available in five necklace styles and a bracelet style). 23. A Prepara herb preserver so you're never kept from having more flavorful food just because the basil went limp too quickly. If you don't have an herb and veggie garden like Oprah, store-bought is fine. Get it from Amazon for $22.49. 24. A KitchenAid Artisan Stand Mixer that'll be a seriously investment-worthy piece you can hand down to your kids — really, these machines last for-e-ver. Get it from Amazon for $249.99+ (available in 48 colors). 25. A set of seven gourmet hot sauces you can keep in your bag for on-the-go flavor emergencies. The bottles range from mild ones like garlic herb to a crazy hot ghost pepper sauce that'll make anyone sweat. 26. A fan-favorite makeup brush with domed hairs and an angled handle for an airbrushed-looking application and minimal product absorption. Get it from Amazon for $32. Promising review: "Seriously obsessed with this brush. Very sturdy handle, great packaging and flawless application. I am a MUA and this is my go to brush now. Love it!" —Lucy T.
27. A Julep whipped lip mousse vault for anyone whose lipstick collection can NEVER be complete. Even after adding these 25 gorgeous super-pigmented matte colors. Get it from Amazon for $249. 28. A truly classic pair of short Ugg boots — I don't care what you think about the aesthetics of these bbs, they are toasty warm and when it's 13° in January, your toes will be so happy you bought them. On Nordstrom *alone* they have almost 6,000 reviews! Plus, this *new and improved* version comes pre-treated to repel water and stains (looking at you, snow and salt). Get them from Nordstrom for $159.95 (available in sizes 5–12 and nine colors) or Amazon for $83.72+ (available in sizes 5–12 and 21 colors). 29. 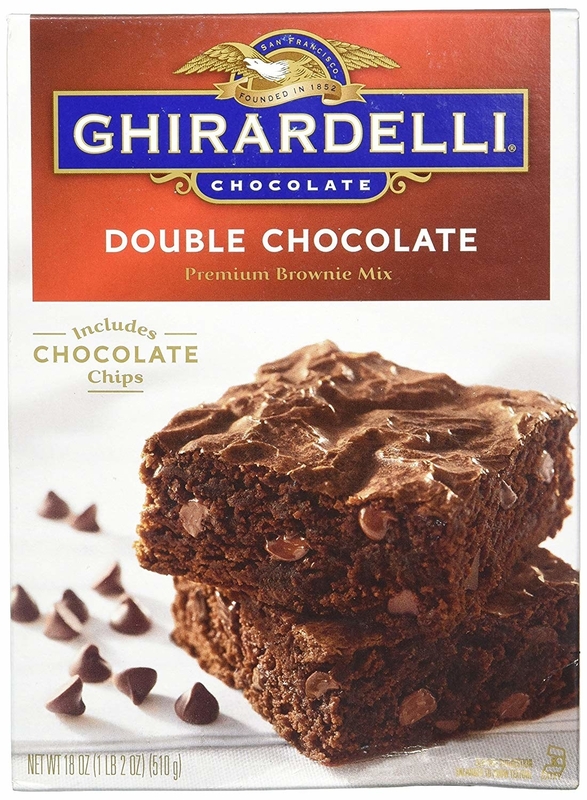 An all-edge baking pan and a box of Ghiradelli Double Chocolate brownie mix for the chewy-chrunchiest dessert you've ever dreamed of. It's also great for anyone who loves the edge of lasagna, ziti, or mac and cheese, too! 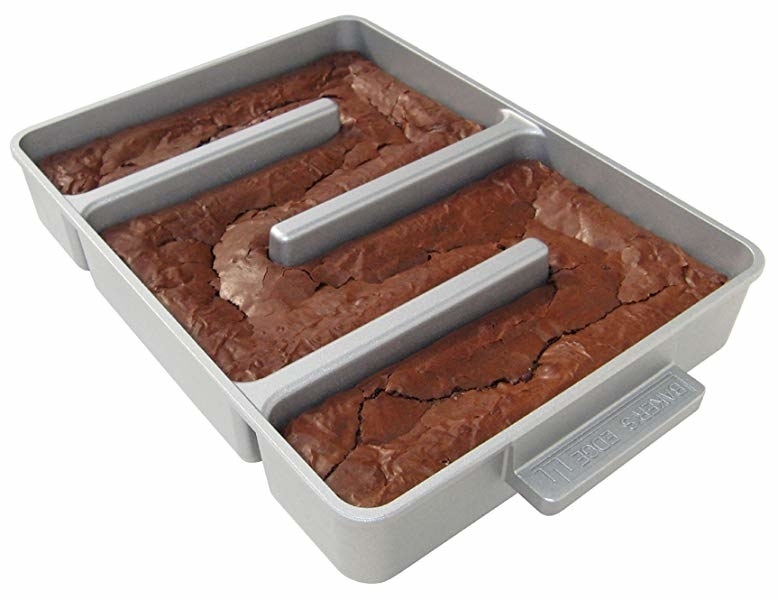 Get them from Amazon: the pan for $35.95 and the brownie mix for $1.79. 30. A Kindle Paperwhite with a glare-free screen so you feel like you're reading an *actual* book — without having to have to schlep around a heavy 1,000-page volume (looking at you, A Song of Ice and Fire). I *also* love my Paperwhite — and it's great for downloading books from Oprah's book club, too! Get it from Amazon for $119.99+ (available in black and white). 31. A machine washable, super-cuddly Jellycat stuffed animal any child will love more than they love you, sorry. Get it from Amazon for $25 (check out all the available Jellycat animals options here). 32. Philosophy's Hope in a Jar, a much-beloved moisturizer formulated with lactic acid to (gently) exfoliate and remove dead skin cells while adding tons of hydration and radiance. 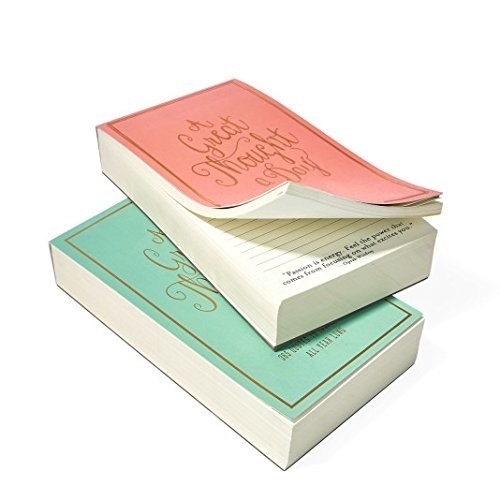 When it was one of O's favorite things, Philosphy released it in limited-edition packaging. My only criticism? That batch should have been called 'Hope-rah in a Jar." Get it from Sephora or Ulta for $39. 33. A Philips Air Fryer for perfectly crispy fries, wings and more with little or *no* oil. How does it work? Rapidly circulating hot air cooks food evenly (and adds crunch). Or it could be magic, idk. It has a preset button to memorize settings for your most-cooked foods and the drawer and food basket are both dishwasher safe for super easy clean-up. Get it from Amazon for $299.95. 34. An extra-large NARS kabuki brush to evenly buff loose powders onto your face *and* neck and décolletage for a flawless finish (and no weird line at your jaw where your foundation ends). Get it from Nordstrom or Saks for $70. 35. A frozen dessert maker that'll transform any frozen fruit into a delicious ice cream-like treat in just a few minutes. It comes with a recipe book to inspire your sweet tooth. Plus, all the parts are removable, making it super easy to clean. 36. A 10-piece Le Creuset "Oprah set" so you can set up your whole kitchen with just one purchase. There's a reason so many people love these super durable pots, pans, and Dutch ovens. And it's almost 20% off! It comes with a 10 1/4" skillet, 5 1/2-quart Dutch oven, stockpot, saucepan, frying pan, spatula *and* spatula spoon. Get it from Le Creuset for $750 (originally $915; available in two colors). 37. A Dyson Supersonic hair dryer that'll be absolutely worth the splurge — it's super lightweight, but the powerful motor will cut your drying time way down while protecting your hair and keeping it incredibly shiny. It comes with three magnetic attachments (two nozzles and one diffuser) that attach and remove with ease, plus a non-slip mat so it won't go tumbling off your smooth bathroom counter. This hair dryer also won its price category in our BuzzFeed Reviews test! Check out the full Dyson hair dryer review for all the info! Get it from Nordstrom or Sephora for $399 (available in three colors). 38. 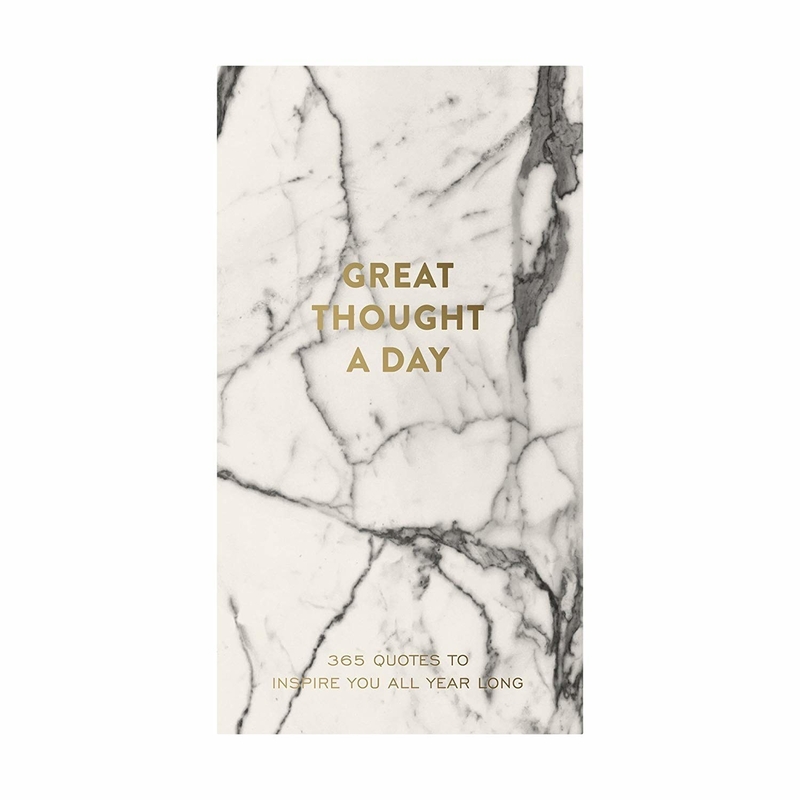 A year-long notepad with a quote for each day to inspire you as you jot down everything on your daily to-do list. Maybe now you'll get as much done as Oprah. Get it from Amazon for $12.99+ (available in five colors and patterns). Promising review: "Great pad of paper for someone who likes to make lists. each page tears off easily. Especially enjoy reading a new quote each time I use another piece of paper. I bought this for myself but it would be such a nice gift for a friend too." —Colleen F.
39. Tom Ford matte lipsticks for velvety, smooth, and highly-pigmented color and a long-lasting and *comfortable* finish. I looooove these lipsticks too, and if I had Oprah-level money I would legit buy every color. Get them from Sephora or Nordstrom for $55 each (available in 20 colors).